We start in the past. There’s a boy who’s like Nightcrawler in X2. He’s in a room, just porting around the place uncontrollably. It’s 1982. The weird thing isn’t his porting. And it’s not even that he can’t port out of the room. It’s that he has no eyes. Skye’s mom walks in with an old dude. They let you know immediately that this is not Nightcrawler, for this is no mutant, “he passed through the mists,” *cough* Inhumans *cough* (besides, Nightcrawler has eyes…and is blue). Skye’s mom tries to talk some calm into Gordon, the eyeless wonder. Hmm, it’s interesting that they didn’t go with more established Inhumans like Gorgon, Blackbolt, Triton or Medusa. I wonder when we’ll see them? 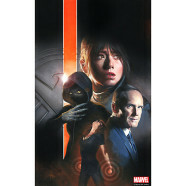 Skye and Coulson are in quarantine. Everyone else is going about their own business, trying to work through the grief of losing Trip. Simmons is documenting what’s in the tunnells with a team. Everyone on the team is wearing hazmat suits. 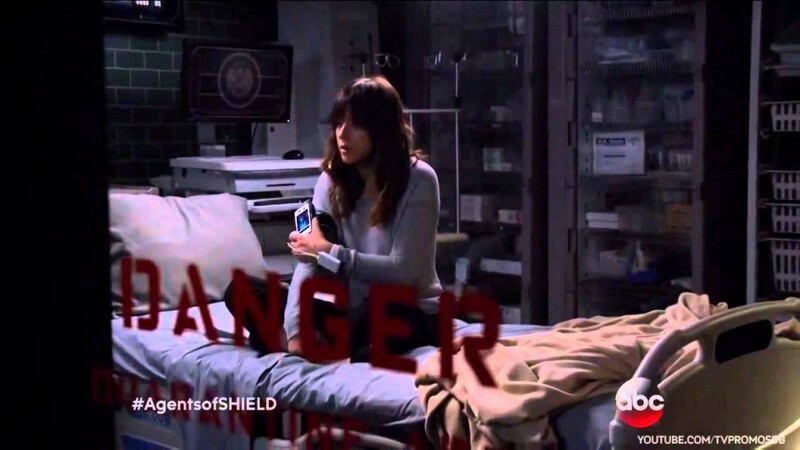 How much os this episode is going to be Coulson and Skye talking, Diner style? Skye is depressed. Coulson is angry. Cut to a meeting of what appears to be the heads of Hydra. One of them really, really looks andn sounds like Hilary Clinton. That can’t be not on purpose, right? 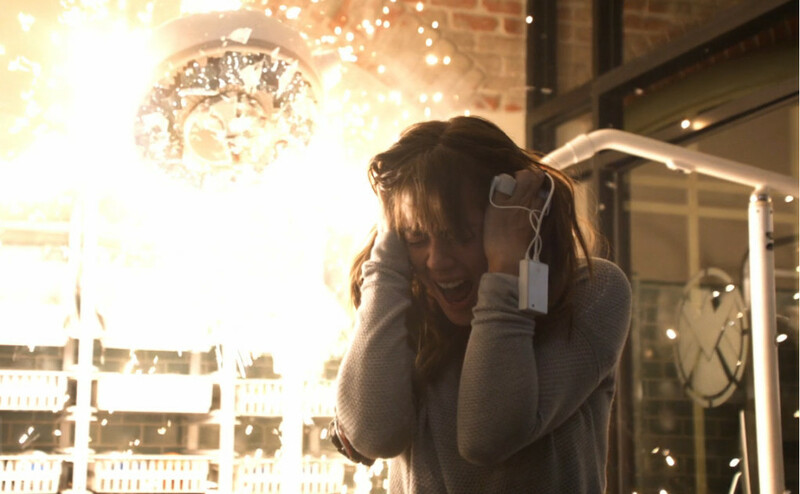 Something is in the tunnels, and it attacked one of Simmons’s men. Oh, that hand looks like Raina’s, all porcupine like. Simmons meets with her team in the catacombs. When she leaves, Raina attacks the team members, killing them. Raina is all claws and craziness. Simmons shoots her. She’s still able to run away, and gets to an elevator. Bobbie meets with Skye. She tries to keep Skye’s spirits up. When Skye says she feels like a leper, Bobbie points out everything that happened to Skye and says Skye’s a rock star. The Fitz and Mac show is still a thing. Anyone feel that The Rock was the first choice to play Mac? Mac and Fitz are going through similar issues. Mac was controlled by that gas and Fitz’s brain isn’t’ what it used to be. Both felt trapped in their own bodies. Simmons gets in touch with Coulson and May. They’re hunting down Raina, not realizing she’s the porcupine monster. Coulson calls a team meeting. Everyone starts arguing, stressing Skye out. The stress causes her to involuntarily shake the place. Amazingly, no one else notices. Seriously, I’ve been in arguments, but I think I’d notice the start of an earthquake happening at the same time. Bakshi is in Coulson’s custody. Coulson facetimes with Talbot. They arrange a trade for Bakshi. 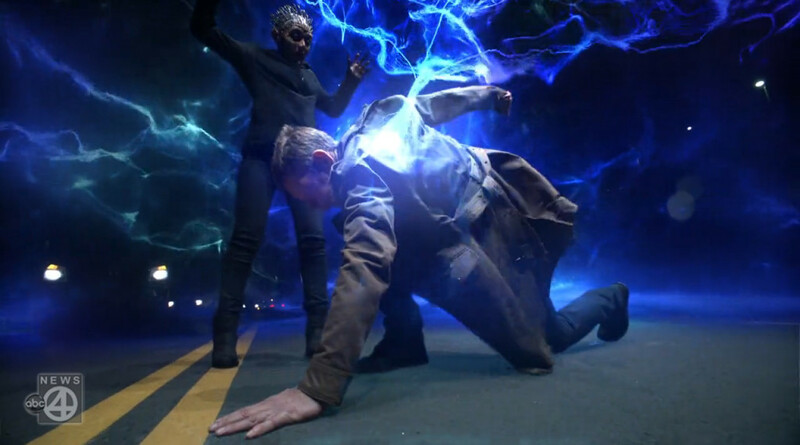 Coulson and May are ambushed while transporting Bakshi. But abushed by whom? Hydra? Talbot with the double cross? In the ensuing firefight, May counts four hostiles left. She asks Coulson if he know what that means. He doens’t. It means May is going into BEAST MODE. While she’s taking out everyone, someone shoots her, and then Coulson. There is A LOT of blood. W. T. F. Still, Coulson yells “They’ll never take us alive,” which seems fishy. The masked shooter tells Bakshi to get in the SUV. Why do I think this is an elaborate Coulson ploy? Also, that masked guy…sounds like Talbot. Bakshi’s masked savior is revealed. WHAT?! It’s not Talbot! it’s Hunter. For a second, I think to myself that this isn’t a Coulson ploy and Hunter has gone over to Hydra. But I’m wrong. It is a Coulson plot. May makes fun of Coulson for saying they’ll never take us alive. Man, I love this show! Hunter gets in Bakshi’s good graces by holding a gun to Bakshi’shead, and then allowing himself to get bought off by Bakshi. As it turns out, Simmons did realize that porcupine lady was Raina. But they don’t realize Skye is a superhuman too. How is that possible? They analyzed Raina’s DNA without Raina being in custody, but not Skye’s? Raina attacks Kyle MacLachlan. On a side note, it really bothers me that we don’t have a character name for Kyle MacLachlan other than Skye’s Dad or The Doctor. I’m going to keep referring to him as Kyle. Raina wants to know what the hell she has become. Me too. Is that even the same actress?! She wants to be normal again, “not some gnarled freak of nature covered in thorns.” Wow, she really is gnarled. How many hours does Ruth Negga need to spend in the makeup chair each shooting day for this? It is crazy that Skye just looks like Skye. Er, I mean Daisy. Sorry, Kyle. Totally meant Daisy. Back to Raina…whoa, Raina is seriously crazy. She blames Skye for what happened to her. Kyle and Raina are like in a competition for who can be crazier. It’s a dead heat. Wow, Raina unhooded looks like 0% Raina. She’s all bald and spikey. Seriously, this could be a different actress if it wasn’t for her voice. On another side note, when Kyle talks to himself, he sounds like a Batman 66 villain. Hunter wants to find out Bobbie and Mac’s mutual secret. It turns out they’re in a support group for people who used to be in SHIELD, but were betrayed by Hydra. Wait, this wasn’t’ an excuse? It’s real? Huh, I thought Bobbie was being evasive at first. Fitz meets with Skye. He’s the only one who realizes she survived the destruction only because she caused it. Why would you bring that up to the that person, Fitz?? Come on, Fitz! Skye makes the room shake. Things start exploding. Fitz runs. How did he not see that one coming? Coulson delivers the news to Trip’s mom that Trip is dead. The audience gets to see a cool photo of the Howling Commandos hanging on the wall. Bakshi and another guy in the head Hydra group set off an alert. The other Hydra heads are wearing watches that light up. They seem excited. What’s up? Bakshi decides to turn on Hunter. He has his men shoot the crap out of Hunter’s jeep. Unfortunately for those men, the jeep is bulletproof and has pop-out guns. Not a standard feature, but totally worth the expense in this case. Hilary Clinton is poisoned, and turns to ash, like so many others this season. Another Hydra dude meets the same fate. Pretty much everyone but Bakshi dies. Baskshi betrayed the group. Hunter and Bobbie take out Bakshi’s co-conspirator and take Bakshi in. This was all Coulson’s plan, to get the Hydra heads to betray each other so that his team wouldn’t have to go after them. Skye is bleeding. May and Simmons want to know what’s up.Fitz takes the blame and seems to have doctored Skye’s DNA. He replaced it with a sample of her old DNA. Um…why? Seriously why. Fitz is afraid that Simmons will judge Skye too harshly. Fitz is the only one who knows the truth about Skye. That’s nice of you, Fitz, but how is Skye going to get the help she needs? A SHIELD team finds Raina. They tell her she’s not there to hurt her, just take her in. Raina wants them to kill her. The blind teleporter ports in He’s all grown up and in control of his powers. He grabs Raina and ports out. No sign of Ward this episode. I wonder when we’ll see him again. 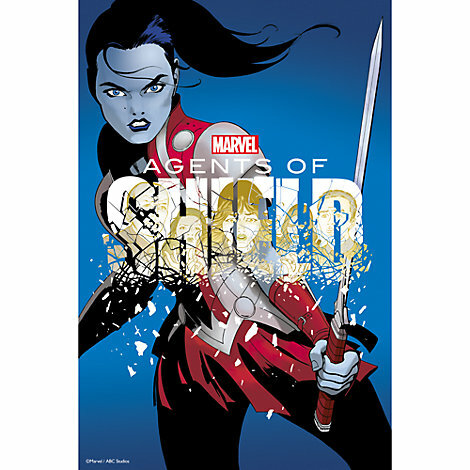 Looking at the Art of Level 7 poster by Marcos Martin for next week’s episode, it looks like Sif will be returning to Agents of SHIELD. I can’t wait. 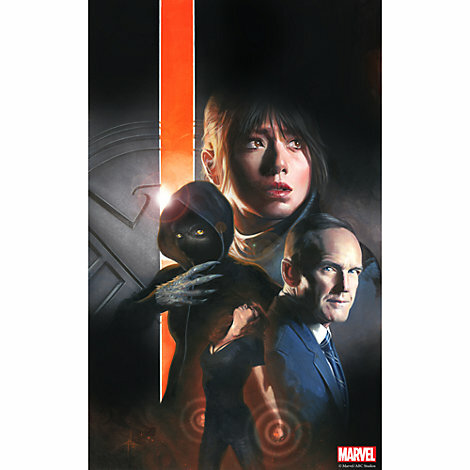 I am so happy Agents of SHIELD is back!